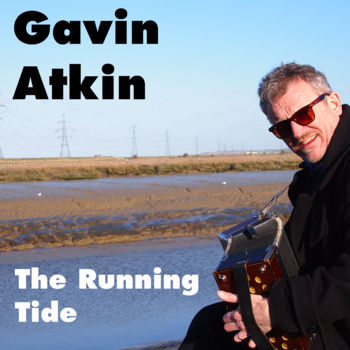 – Julie and Gavin Atkin are appearing at Whitstable Folk Club on Friday the 29th from 8.30pm. The club’s at Whitstable Labour Club, 12 Belmont Rd, Whitstable CT5 1QP. 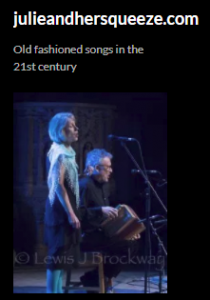 Expect a fine mix of jolly tunes, nostalgic songs, rousing choruses, story songs that will keep you riveted – and a few laughs. 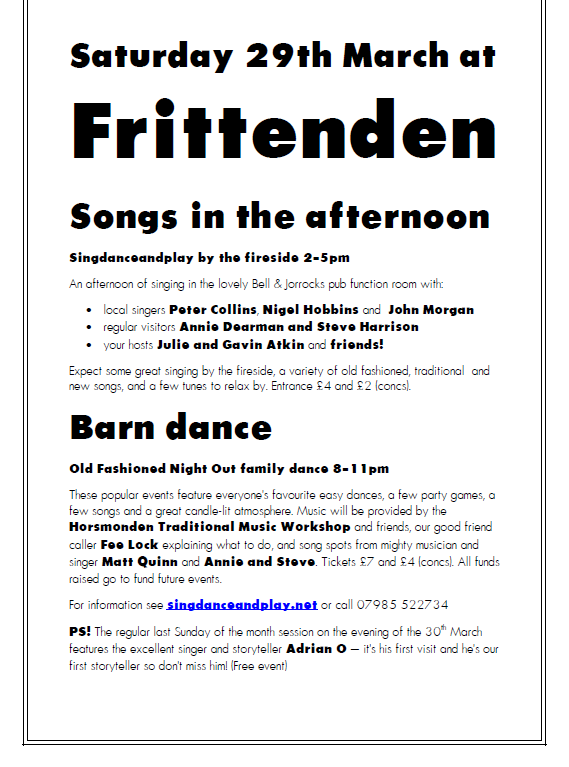 Why not come along and chip in a song or tune or two of your own?